Two gun-wielding masked individuals made a successful attempt of robbing a number of patrons at Mem’s Pizzeria Wednesday evening, but the getaway didn’t work out as planned. On Thursday, the Observer visited the establishment – adorned with burglar bars and equipped with security cameras – to speak to owner Bernadette “Mem” Wallace. Though still shaken up from the evening’s events and reluctant to speak to the media, Wallace said that this is this third time armed gunmen approached her. Once it happened at home and twice it’s happened at the restaurant, though this time, the robbers walked right through the front door. She noted that about 12 customers were at the establishment around 9 p.m. when the masked men walked through in and demanded for them all to empty their bags and pockets into a bag one carried. Money, phones, keys and other personal items were taken from the customers. One customer, the Observer understands, jumped over the balcony trying to flee from the armed robbers, who only target customers and employees and not the business itself. The assailants then set off toward Brown Hill Village. 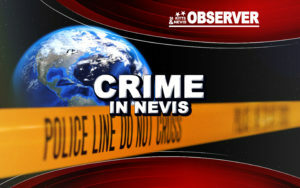 The Observer confirmed with police officials Thursday that two individual were quickly apprehended by officers patrolling the area and taken into police custody. At present, the Observer cannot confirm if anyone had been charged. Wallace said that the last time she was robbed by armed assailants was almost five years prior at the restaurant and 10 years ago at her home. Both times, the assailants made off with an undisclosed amount of money.